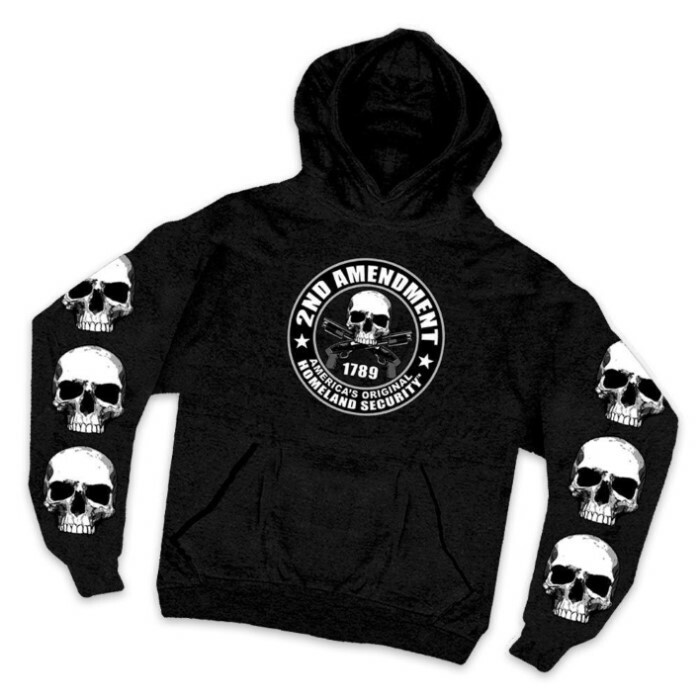 Second Amendment Homeland Security Skulls Hoodie | BUDK.com - Knives & Swords At The Lowest Prices! Show everyone you mean business with this Second Amendment Homeland Security hoodie sweater. It features eye-catching second amendment homeland security artwork on the front and skulls down the sleeves. Make your stance clear with this one!